If you have questions about your water heater, whether it needs repairs or replacement, then we strongly encourage you to contact The Stanley Louis Company at 800-217-6527 sooner rather than later. We can answer your specific questions and let you know what your next steps should be. 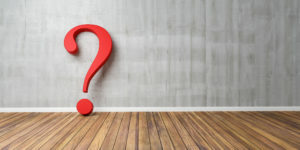 In the meantime, read on to get answers to some of the most frequently asked questions about water heater service and repair. Why Do Water Heaters Need to Be Repaired or Replaced? A water heater is an appliance just like any other in your home in that it will eventually undergo wear and tear. The most common issue we see is sediment buildup. Think of it like this: When water is heated, the minerals that naturally occur (such as calcium and magnesium) are leeched from it. After a period of time, that sediment turns into scale, which is a whitish material. It will settle inside the tank and can have a hugely negative impact on how well your water heater works. Of course, this is not the only cause for water heaters needing to be repaired or replaced. Other issues we commonly deal with are the result of pilot lights being out, power surges, leaking gas lines, issues with the thermostat, and a heating element that is not working correctly. It depends on the type of water heater you get, the quality of the water heater you choose, and how it is used. Tankless water heaters tend to last longer than your traditional water heater. When you buy a new unit, it will tell you how long the manufacturer expects it to last. Generally it should last between 10 and 25 years. How Will I Know It’s Time to Replace My Water Heater? Your water heater uses more energy that just about anything else in your home. In fact, this single appliance could be using about 25% of the energy use of your home. As it gets older, it is less efficient, which means it will cost more to run. This is a good sign that it is time for replacement. If it is more than ten years old, is not producing enough hot water, doesn’t get water as hot as it once did, you get low pressure, it makes terrible noses, or the water coming form it is discolored or has a bad odor, then it may be time to replace it. Is it Worth Repairing My Water Heater or Should I Replace It? This is impossible to answer without knowing exactly what the problem is. The good news is that when you work with The Stanley Louis Company, you can count on us offering an honest opinion. We will assess the performance of your water heater, its age, and how much it would cost to repair it. When all of these factors are taken into consideration, we will be able to advise you on whether it makes sense to repair it or if replacement is a better option.